The Detroit Institute for Children (DIC) partners with public, private and charter schools, early childhood programs and community services providing special needs services on location to the child. 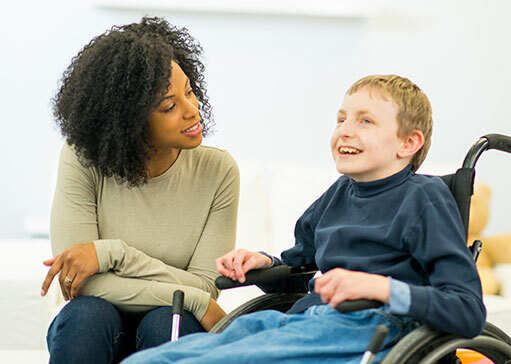 Our Special Needs Service professionals provide high quality therapy services. Every member of our team is highly trained, compliant, subject to the ethical and standard practice of their professional domain and licensed by the State of Michigan. Our services include consultation, observation, evaluation, testing, and therapy and we provide all testing, evaluation materials, and therapy supplies. If you need multiple services, we provide all the above, under one contract, through our “Special Education Support Teams.” There is no minimum required number of hours to initiate a contract. Whether you need support for the entire year, an evaluation for one student, temporary staff leave coverage, or any other combination of services; we will work to best meet your needs.